Wolf Creek & Ivan Milat – A Backpacker’s Greatest Nightmare. 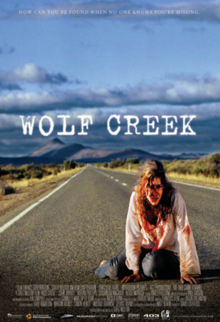 Wolf Creek undoubtedly has to be one of the scariest movies I’ve seen in a long time. John Jarrett did a brilliant job in the creepy role of Mick Taylor. If anything was to put off potential tourists to this country, one would only need to watch this movie. Every summer, in my local caravan park, back-packers arrive to work as fruit pickers. Last summer, I watched as many of them stood by the side of the road and began hitch-hiking. This became a daily routine of theirs. I thought to myself ‘haven’t these people heard of Ivan Milat and Wolf Creek‘? I don’t know about you, but it would certainly stop me in my tracks! I know for some it is their only means of traveling, and they were fortunate to have been given rides, yet one cannot always be too trusting. The words ‘Ivan Milat’ and ‘backpackers’ have become synonymous in the Australian psyche. It was during the late 1980s that Ivan Milat began murdering backpackers in Belangalo State Forest in New South Wales. He abducted, sexually molested, tortured and murdered seven people and concealed their bodies, making him one of Australia’s worst serial killers of the 20thcentury. Fortunately his killing spree came to an end in the early 1990s, however his legacy still remains. Which is why it is so creepy watching Wolf Creek. Now there is the prospect of John Jarrett reprising his role as Mick Taylor – a seriously spooky thought! Have you ever done any hitch-hiking? Did watching this movie put you off visiting Australia? Are you looking forward to a Wolf Creek sequel? Images copyright South Australian Film Corporation. Previous Post Raising the Stakes – More Vampires in YA Fiction? Next Post Alexander Pearce – Australia’s Cannibal Convict.